(i) M.Sc. (Nursing) from a recognized Institute/ University (ii) Ability to use computers- Hands on experience in office applications, spread sheets and presentations. 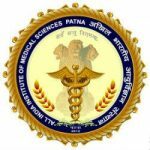 Assistant Nursing Superintendent (85 Vacancies) – Last Date 05 March 2019 (Patna, Bihar), All India Institute of Medical Sciences, Patna (AIIMS Patna) recruitsAssistant Nursing Superintendent Posts. Candidate with B.Sc., M.Sc. In Nursing experienced can apply.